Emoji are adorable, but a better search tool on iOS would make them even more fun to use. (Insert emoji-unicorn here). Emoji are a great way to drive people into updating their devices. I love that Apple’s gotten on the emoji train, but you’ve also got to wonder why it has suddenly snapped to attention. One popular conspiracy theory, which I actually sort of subscribe to, is that emoji are a great way to drive people into updating their devices. 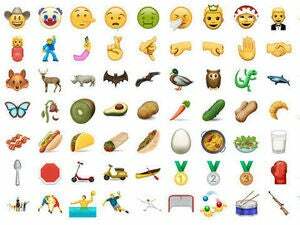 When iOS 9.1 came out with all those new emoji, if you didn’t update right away you saw a bunch of question marks instead of tacos, burritos, and unicorns. Getting back into the conversation was one software update away. It’s a diabolically clever plan. While Apple is doing great at displaying emoji, it could do a much better job of letting us input them. The other morning, I was browsing through my Twitter feed on my iPad and wanted to reply to a particular tweet with a bit of an inside joke involving the German flag. (Sorry, Germans.) In my bleary post-sleep haze, I ended up sending the flag of Belgium instead. I don’t know what I was thinking—those countries are close geographically but their flags are as different as horizontal and vertical strips can make them. The iOS emoji picker is good, and has seen great improvement over the past couple of years, but I’d love for it to be searchable. And more generally, I’d love for Apple to do a better job of enabling emoji autocomplete (at least as an option) during text entry. I use the online messaging system Slack all day long, and Slack lets you search for and enter emoji just by typing a colon followed by a term. 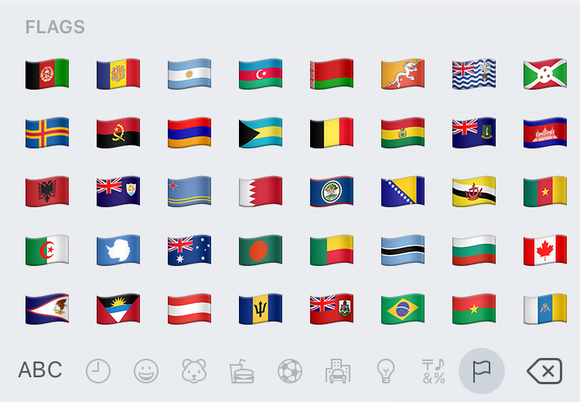 If you know what emoji you want, you can just type “:flag-de:” and the proper emoji will appear. It’s kind of amazing, and I wish I could do it everywhere now. 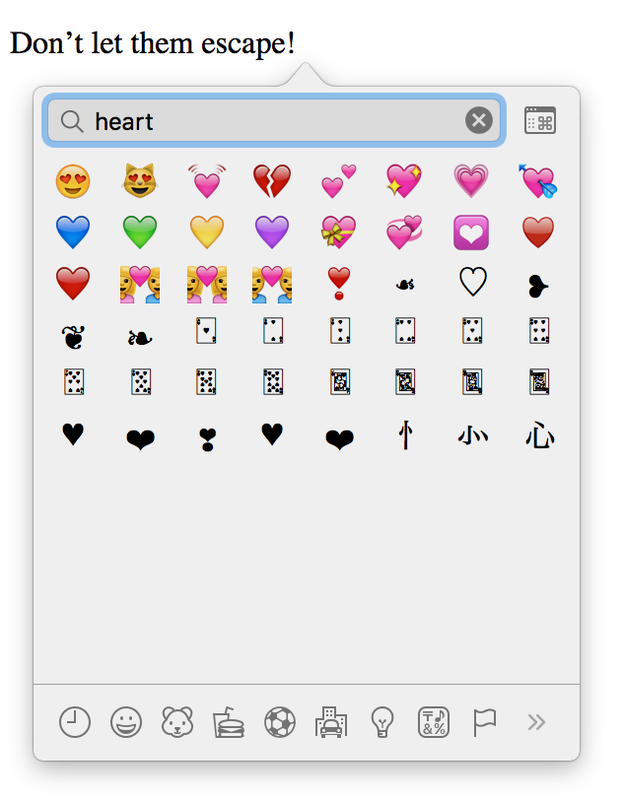 You can be cranky and hate emoji if you like, but my online life’s better—and more expressive—now that I’m able to liberally sprinkle my messages with blue hearts (red hearts are far too forward! ), prickly cactuses, and the occasional Japanese ogre. 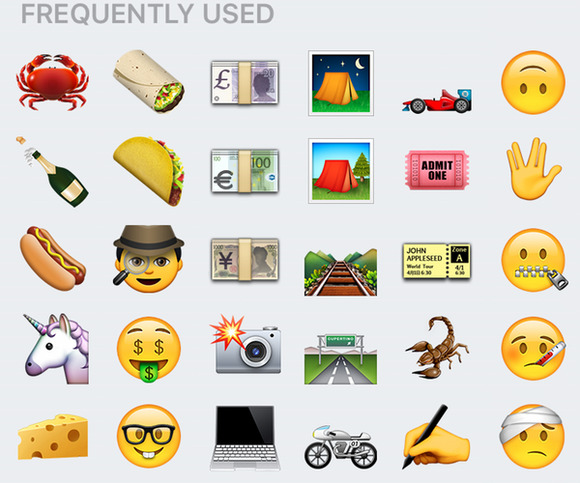 Apple’s leading the world on supporting emoji; I’d love to see it make it even easier to use them.